When Nancy is asked to find a professional dancer who disappeared several years before, the young detective becomes involved in a mystery reaching far beyond a missing-person's case. Clues lead to a huge estate which the dancer is to inherit if she can claim it in time. 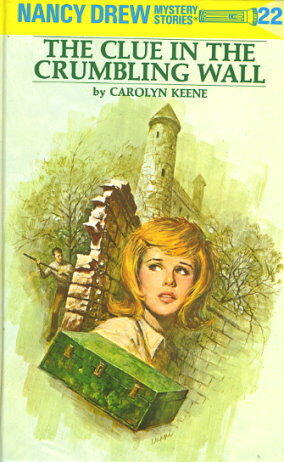 During Nancy's investigation at Heath Castle, she and her friends Bess Marvin and George Fayne realize that its crumbling walls contain a secret, but what is it? And who are their enemies that try to foil their every attempt to unravel the intricate puzzle? Danger lurks in a castle tower and throughout the vine-tangled grounds of the estate. The girls' gripping adventures culminate in a dramatic climax when Nancy exposes a sinister plot to defraud the dancer of her inheritance.